We share our safety experience and standards with other operators, contractors and professional organisations, including the International Association of Oil & Gas Producers (IOGP) and the Energy Institute. In 2018, we shared training materials with the Energy Institute, including toolkits that encourage reflection on how incidents with potential safety risk could be managed and how participants could apply the lessons learned in their line of work. We have also started sharing what we have learned from the tragic road tanker incident that took place in Pakistan in 2017 with others in the fuel transport industry (see Pakistan section below). Moving large numbers of people, products and equipment by road, rail, sea and air poses safety risks. 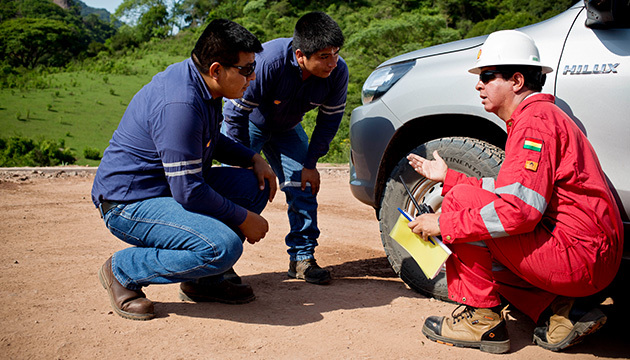 We develop best-practice standards within Shell to reduce transport safety risks, and work with specialist contractors, industry bodies, non-governmental organisations and governments. In shipping, for example, we are working with our contractor partners on a programme to improve the quality and consistency of their safety management and on tools to help learn from incidents. In 2018, we visited more than 700 ships to engage mariners on safety and make the programme more effective. We also launched a new risk model for accident prevention. In the past, the shipping industry mostly relied on learning about incidents after they have happened. This new statistical model recognises precursors or small leading events, such as a small leak or technical issue, to predict the risk of a serious incident. Identifying the precursors allows companies to address them, which helps to reduce the potential for significant incidents. In the air, chartered planes, which fly around 11,000 hours a year for us, are used to transport passengers, observe pipelines and carry out geophysical surveys. Everyone at Shell working in an offshore location must complete basic offshore safety induction and emergency training (BOSIET) in survival skills. We use helicopters for about 52,000 flying hours a year to carry people to and from facilities onshore and offshore. 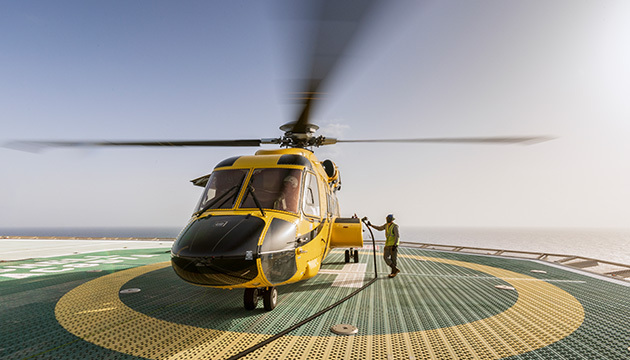 In 2018, we worked on a programme with offshore helicopter safety association HeliOffshore, the IOGP, aircraft manufacturers and aviation regulators to drive safer ways of working with aircraft. This included improving helicopter vibration monitoring systems, passenger survival training and survival equipment. 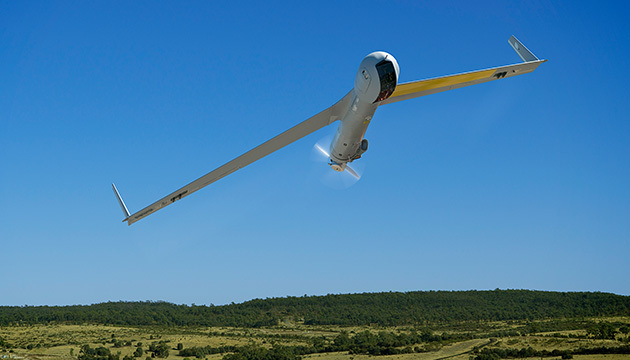 Also in 2018, we saw growth in the use of remotely-piloted aircraft systems – or drones – and they are now used regularly. This technology helps our teams to conduct tasks, such as inspecting the condition of oil and gas facilities and infrastructure in high or hard to reach places, more safely and efficiently. An inspection of QGC Pty Limited's gas production operations in Australia only took two days compared to weeks of traditional ground inspection, saving around 6,500 kilometres of driving. Road traffic accidents claim around 1.35 million lives every year, according to the World Health Organization. Shell employees and contractors drove a combined distance of around 600 million kilometres on business in 2018 in more than 60 countries. There were no road transport related fatalities in 2018 in assets and activities under the operational control of a Shell company. We run road safety programmes, such as our mandatory defensive driving course, which teaches safe techniques and behaviour. We require everyone driving more than 7,500 kilometres a year on Shell business on public roads and those who drive in high-risk road safety countries to take an in-vehicle defensive driving course. In 2018, around 3,200 people completed some form of in-vehicle training. We also introduced an annual online defensive driving training course, which consists of seven different modules with a focus on hazards such as fatigue, for all who drive on public roads on Shell business. In the USA, rising energy industry activity in the Permian Basin has led to increased traffic and more serious road accidents and fatalities. 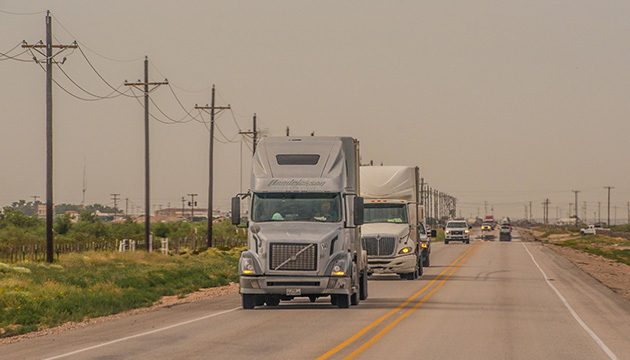 SWEPI LP, a subsidiary of Shell Oil Company, has taken proactive steps to improve safety in the Permian Basin, including piping water to operations to reduce water trucks on the road and building accommodation for workers to split up long journeys. We also work with our industry peers, such as operators and contractors, to develop policies that improve road safety. For more information about these efforts, see The road to better safety at www.shell.com/inside-energy. Outside our operations, we also work to improve road safety in several communities and countries where we operate. 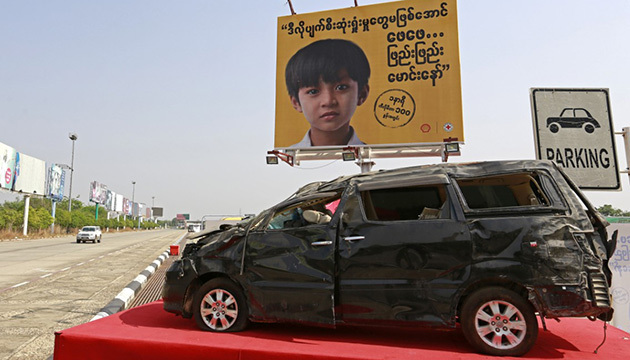 The Yangon-Nay Pyi Taw highway is known for its high accident rate. In 2017, Shell Myanmar Energy Private Limited launched a road safety campaign with the Myanmar Red Cross Society and the Global Road Safety Partnership to educate drivers and communities on safe road use. In October 2018, the second phase of the campaign was launched, covering the entire Yangon-Nay Pyi Taw-Mandalay highway. The campaign reminds motorists to drive carefully and return home safely by using billboards and signs with messages from children. We also worked with the campaign partners using social media to educate and encourage a wide audience on safe driving habits and road use. More than 6.5 million drivers have been exposed to the road safety messaging on the highway and 7.5 million people have been reached through the national campaign. In December 2018, our road safety campaign on the Yangon-Nay Pyi Taw highway was recognised for its effectiveness in delivering change by the prestigious Prince Michael International Road Safety Award. In India, Shell India Markets Private Limited worked with the transport ministry on an awareness campaign on social media which reached close to 7 million people across the 10 most accident-prone cities in the country. IndiGo airlines and Mahindra Logistics have now joined the campaign. In June 2017, a devastating roll-over incident occurred in Pakistan involving a road tanker hired by a company that was providing road transport services to Shell Pakistan Limited, following which people from a nearby village approached the incident site to collect spilled fuel. Tragically, the fuel ignited resulting in the loss of more than 200 lives and left many other people seriously injured. Following the incident, Shell Pakistan Limited provided immediate relief support including providing food supplies for 150 affected families for nine months and medical supplies to hospitals. Shell Pakistan Limited has also contributed to long-term relief efforts for those impacted. For example, the CARE Foundation, in partnership with Shell Pakistan Limited, has ‘adopted’ two public schools within the impacted villages to improve infrastructure and education standards. Shell Pakistan Limited is also working with the National Rural Support Programme to help restore livelihoods of people in affected communities, providing vocational training and support for setting up small businesses. We finalised our internal investigations in 2018 and we continue to implement our learnings from the incident. This includes deep reflection by the Royal Dutch Shell plc Board and Executive Committee, who have initiated several improvement programmes to be adopted throughout Shell globally. We have developed and started the implementation of a road transport improvement project, specifically targeted at the management of fuel transport in high-risk countries. We are working with road transport companies in other locations where factors relevant to the Pakistan incident may exist and have also started sharing what we have learned with others in the fuel transport industry. Shell Pakistan Limited continues to work with regulators, emergency services and the wider oil and gas industry in Pakistan with a view to improving safety standards. Shell Pakistan Limited has also required the road transport companies it hires to improve the safety of their transport fleets and has ongoing safety engagements with hauliers and their drivers, seeking to help them to identify and address the risks associated with driving fuel tankers. This has included emergency response drills to build and test capability. Road transportation remains a challenging and complex area for industry worldwide. Sadly, in October 2018, there was another roll-over incident in Pakistan involving a customer tanker, which resulted in the death of the relief driver and a spill. This incident was outside of Shell’s operational control and outside of our reporting scope. We employ a large number of contractors who often perform activities with high safety risk. We work with our contractors to ensure they understand our safety requirements and together we build skills and expertise to improve safety performance. For example, Shell’s Pulau Bukom Manufacturing Site in Singapore continued to embed a programme to improve safety by encouraging people to identify hazards and take ownership of barriers to keep themselves and others safe. The Blue Zone Barrier Thinking programme, originally successful in our lubricants business, uses briefing materials with clear, simple language and visuals that enhance daily safety sessions, and encourages supervisors to hold discussions rather than tell teams about risks. Around 6,000 Shell employees and contractors, from diverse backgrounds and nationalities, work at the Bukom site. Since 2014, executives from Shell have collaborated in pairs with executives of major contractor companies – as part of Shell’s contractor safety leadership programme – to identify strategies and practical steps to improve safety culture and achieve our Goal Zero ambition of no harm and no leaks, including driving standardisation together. The programme has a joint safety vision – what they call a declared future – and now includes 19 companies. One of these companies, TechnipFMC worked with us to deliver the Kaikias project in the Gulf of Mexico ahead of schedule, with an outstanding health, safety and environmental rating. Together, we set the project up to succeed through early engagement and by agreeing to simplified structures and processes. TechnipFMC is a global contractor that has worked with Shell on several major construction projects, including the Kaikias deep-water oil and gas project in the Gulf of Mexico. TechnipFMC participates in our contractor safety leadership initiative which encourages us to work more closely to improve safety. After five years of preparation and onshore work, and eight months of offshore work, Heerema Marine Contractors (HMC) completed the offshore installation of the Appomattox (USA) project for Shell in October. The executive pair’s close collaboration and alignment, nurtured throughout the project execution, helped to deliver an outstanding safety performance. Almost 830,000 offshore man hours of work were spent on HMC’s deep-water construction vessel Balder without significant incidents. In 2018, Shell and these major contractor partners signed up to a set of principles with the goal to improve worker welfare within our industry (see Supply chain).